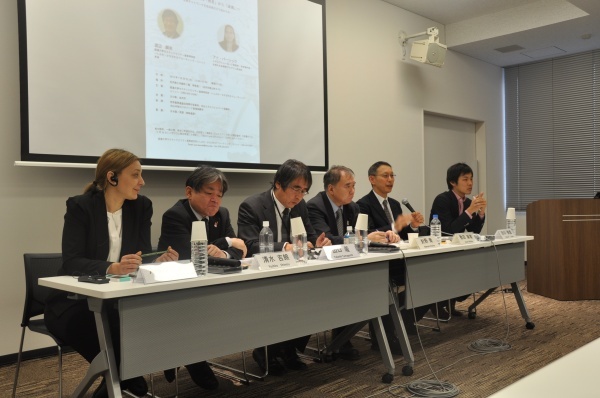 IPSI member the United Nations University Institute for the Advanced Study of Sustainability’s Operating Unit Ishikawa/Kanazawa (OUIK) organized an international seminar on 29 January 2015 in Kanazawa, Japan, with the purpose of discussing how to promote coordination among different types of registered agricultural heritage sites to achieve a more strategic and comprehensive approach. The keynote speaker at the event was Dr. Ana Persic from UNESCO and the UNESCO and Secretariat of the Convention on Biological Diversity Joint Programme on the Links between Biological and Cultural Diversity. Dr. Persic’s presentation highlighted the need to recognize cultural and biological diversity mutually supporting each other, and therefore to treat them as “two sides of the same coin” in efforts to promote each of them. Other presentations at the seminar came from local representatives and academics, who introduced various ongoing projects in the Noto area toward conserving biological and cultural diversity, including the recognition of large protected areas around Mt. Hakusan including production areas, and Kanazawa’s cultural activities under the UNESCO Creative Cities Network. The presentations inspired a large number of questions from participants and discussion among the speakers. The event flyer and more detailed information can be found on the UNU-IAS website.